Apple has launched an Apple Watch study that will look for irregular heart rhythms and notify users if they might be suffering from atrial fibrillation. The app, which is free, continually monitors your heart rate through the day and will alert you if it thinks you should seek professional medical advice. The research is a collaboration between Apple and Stanford University, and while it's being made widely available, it's important to emphasize this is about detecting heart rate abnormalities, but it won't officially diagnose. Explained: What is atrial fibrillation anyway? The study was first announced in Apple's September event, where the company said it believed the Apple Watch heart rate sensor was good enough to accurately detect AFib, which is a common cause of strokes and heart failure and responsible for around 130,000 deaths in the US alone each year. Apple's also working with care provider American Well, and says that should you get a notification that an irregular heart rate has been detected, it can connect you with one of the study's medical professionals for a free video consultation. To sign up for the app you'll need to be at least 22 and own an Apple Watch Series 1 or later (sorry to anyone who picked up $10,000 OG gold Apple Watch in 2015). This week the FDA approved the first electrocardiogram (EKG) band for the Apple Watch, the KardiaBand, which can also detect abnormal heart rhythms and AFib. 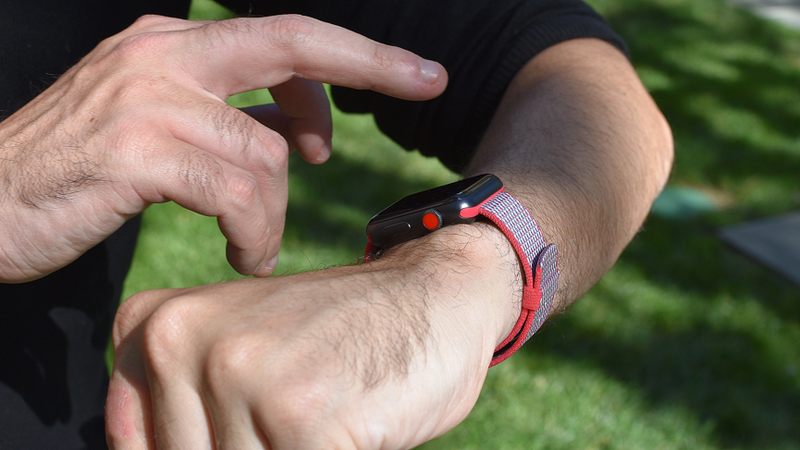 That FDA stamp means, unlike Apple's app, the KardiaBand will be allowed to diagnose. Meanwhile Cardiogram's own study on heart health, using its algorithms paired with the Apple Watch heart rate sensor, is yielding promising results.